SOLD TO A VETTE FAN IN HOLLAND! 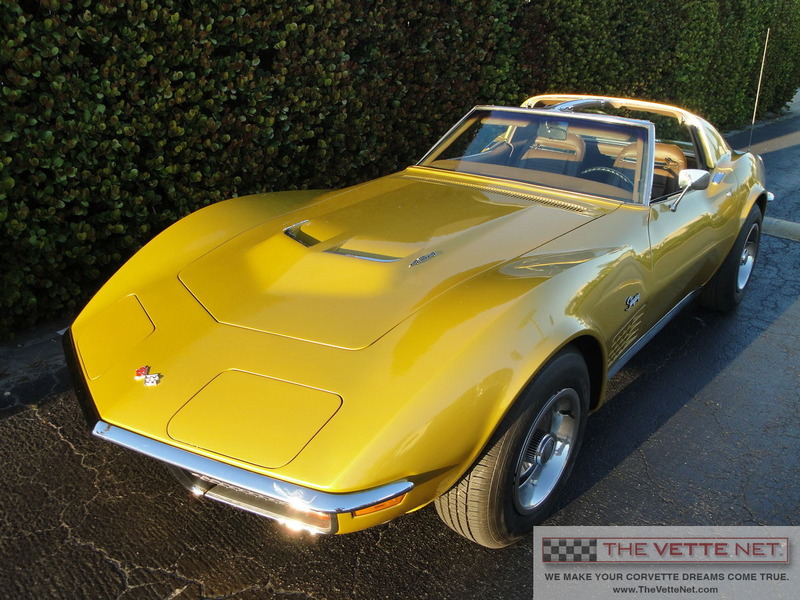 THE VETTE NET, Nationwide Corvette Brokerage Network, proud Lifetime Business Member of the National Corvette Museum is proud to offer a very special Stingray, last of the "Bumper cars", 1972 Big Block Coupe in WarBonnet Yellow with the Saddle Leather interior. Car was restored to original condition and is in excellent mechanical and cosmetic condition. It features a correct GM replacement 454 engine block (cast 989) and all other engine components appear to be original. There are no other power options. Interior is correct - Deluxe Saddle Leather. Corvette is located in FLORIDA. Please enjoy the gallery with large pics and consider this show car for your personal collection. More information available on demand. Trades are entertained, nationwide and international delivery provided on demand. In business since 1998, THE VETTE NET has established itself as the premier source for buying, selling and leasing Corvettes, with over 2500 enthusiasts assisted nationwide and all over the world. We are fellow Corvette Club members, we drive Vettes, we live the life-style, and enjoy the hobby. Our Motto is "UnderCommit - OverDeliver" and we guarantee a pleasant and straightforward experience. Do you have a Vette for sale? If yes, you may want to take advantage of our unique FREE marketing program requiring no upfront fee and no exclusivity. Click here to submit your Corvette for sale.